These, my friends, are my favorite cookies in the world. My kids’ too. And I don’t feel bad one bit about always having them in the freezer, ready and waiting to be eaten. This is because they’re free of gluten, dairy and soy, and full of delicious flavor. 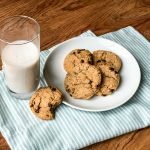 The ingredients can be swapped to make a grain-free and nut-free cookie. I’ve made every version, and every version is delicious. There are so many terrible gluten-free baked goods out there, that when I bake gluten-free goodies people are always skeptical. So, I just omit telling people that they’re gluten-free until after they’ve had their first serving. Because, of course, they always go back for more. These vegan gluten free cookies are my favorite introduction to these skeptics. I am the chef at a bed & breakfast and I strive to create a goodies that everyone can eat. I keep these cookies stocked at all times because they hit the two biggest dietary restrictions I see: gluten and dairy. If I know ahead of time that someone with a nut allergy will be staying with us, I swap the almond flour for oat flour (after carefully sanitizing the entire kitchen, of course). It is my greatest joy to see people people’s faces light up when they realize they can eat safely and deliciously in my kitchen. Everyone has a right to eat tasty food. Especially cookies. 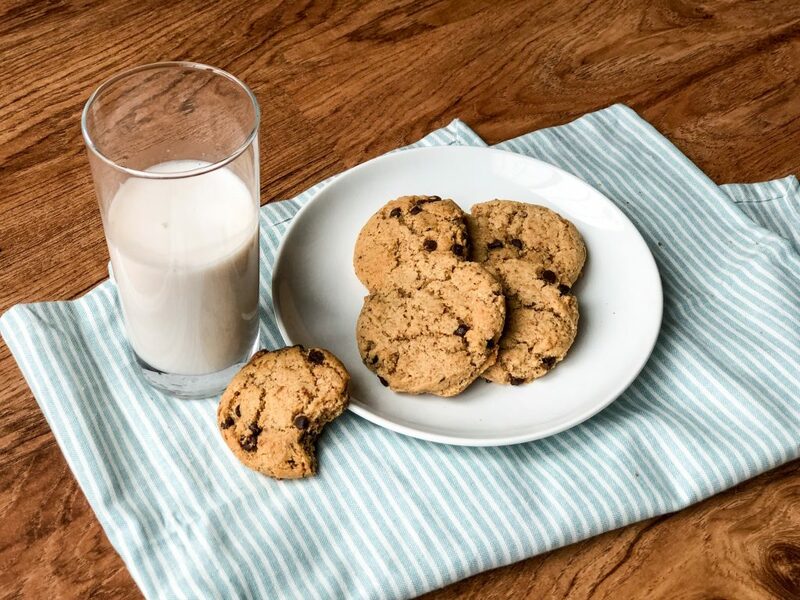 Chewy gluten-free and vegan chocolate chip cookies. Nut-free and grain-free options. Preheat oven to 350F. Line 2 cookie sheets with parchment paper and set aside. Make the flax egg by mixing the flax and water (see tip), and set aside. In the bowl of stand mixer fitted with the paddle attachment (or a hand mixer will work too), beat the oil or vegan butter, nut or sunflower butter and both sugars. Beat for 3-4 minutes until light and fluffy. Add the flax egg or egg and vanilla and beat for another 2 minutes until fully combined. In a medium bowl whisk together the baking soda, powder, salt and almond or oat flour. Use the whisk or your hands to break up any big chunks of almond flour. Add the dry ingredients to the bowl of the stand mixer and mix on low speed for 1 minute to thoroughly combine. Add the chocolate chips and mix another 30 seconds to fully incorporate. Use a scoop or spoon and drop 2 tablespoons of dough approximately 2 inches apart onto the prepared cookie sheets. Flatten slightly with the palm of your hand. Baking one cookie sheet at a time, bake for 10-12 minutes, or until slightly browned on top and around the edges. Place on a cooling rack and enjoy warm or cooled! Tip: I find a flax egg works better if I whir the flax meal and water in a blender for 30 seconds, or put it in a jar with a lid and shake vigorously. Set aside for at least 5 minutes to thicken.